Ketenci & Ketenci is a leading Turkish law firm with a top-tier global reputation in both advisory and contentious matters. 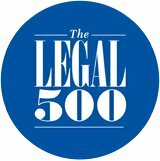 Our team of international lawyers and advisors combines dynamism with a 40-year senior experience in legal practice. 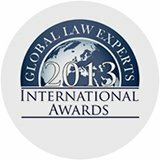 We offer an international approach when providing comprehensive legal services to our well-respected clients globally. Güvenç Ketenci where he talked about the existing and potential challenges facing investors in Turkey, corporate acquisition and mergers, and the general business climate of the country as well as Ketenci&Ketenci’s further goals. As Ketenci&Ketenci ILP, we have been awarded as the Citizenship Law Firm of the Year 2018 in Turkey by the respected Lawyers World media. 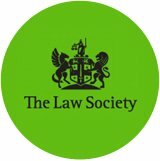 LW annual awards mark excellence for the world’s leading law firms, nominated firms are independently judged to ensure the the best firms are chosen each year for every practice. 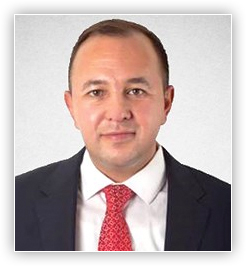 Speaking on the courtesy of awards, Ketenci&Ketenci's Managing Partner Mr. Güvenç Ketenci told that: "We have successfully initiated several applications and obtained citizenships for our clients within the Turkish citizenship by investment scheme in 2018, we are therefore very pleased for being awarded such prestigious award and named amongst the other leading and expert advisers from around the World. 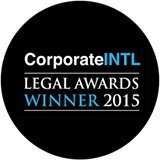 This award will further increase our motivation to provide best legal services on Turkish and global citizenship and migration matters to our clients". 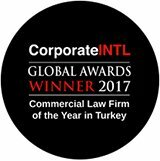 As a Tier-1 firm on Litigation, Arbitration and Dispute Resolution in Turkey, we provide advice and represent our corporate clients before Turkish courts on several complex commercial matters and disputes. We also regularly represent our clients before international arbitration bodies such as ICSID, ICC as well as ad-hoc arbitration tribunals. We can provide litigation finance solutions on large arbitration cases through our network of litigation funders based in London. 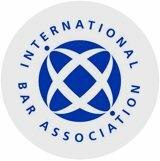 Within the last year, we have strengthened our position with representation of new international clients before Turkish and International courts. 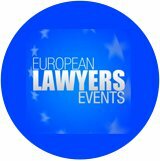 Our commercial litigation practice has therefore strengthened and expanded with new assignments from our clients based in the US, UK, Netherlands, Germany, Italy, Canada and also China, Malaysia. 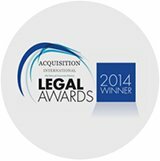 We have advised extensively on commercial, corporate, real estate, energy as well as white collar criminal disputes. As Ketenci & Ketenci, we have advised a European Private Equity fund in relation to their commercial real estate acquisitions in Turkey, UK and Europe. Whereas we have strengthened our commercial law practice with the assignment of new matters from international clientele and addition of new litigation partners and advisors on commercial and corporate litigation. Ketenci&Ketenci advises a leading U.S. energy company. Our client is currently evaluating investment alternatives into Turkey’s electricity distribution and generation privatizations as well as renewable energy licenses. We have also been representing Turkish Wind and Solar project owners and matching them with foreign investors. Ketenci & Ketenci represents a German solar power giant in their photovaltic investments in Turkey. As Ketenci & Ketenci, we have also recently advised a leading Spanish Solar Energy company in relation to their solar power and photovaltic investments in Turkey. Ketenci & Ketenci has been advising one of the leading Chinese Solar Energy companies in relation to their corporate entrance to Turkish market. Ketenci&Ketenci has been rendering legal services to a leading Canadian governmental financial institution with respect to aircraft finance matters in Turkey. We have also recently advised the shareholders of a fast growing Russian Airline Company to clarify the Company strategies going forward, set-up corporate financial reporting standards, study alternate ways of positioning the company going forward and strategic or financial partnership options. 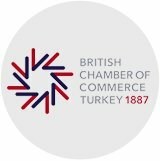 Ketenci & Ketenci have been advising a leading US climate systems company on their merger with an Istanbul based Turkish company. We have started working together with one of the preminent Japanese funds in relation to their investments in Turkey. Despite the geopolitical uncertainties looming in the year ahead, the outlook forEuropean real estate remains positive with a broadly supportive economic backdropand bullish market sentiment. Even Spain, one of the hardest hit European countriesduring the 2008 financial crisis, has come back strongly and is now seen as one ofthe stable investment bets in the region. “Germany replaces the UK as Europe's Number 1 safe haven’’A number of institutional investors are betting on Germany as one of the winninglocations and they are not alone. Transaction volumes in Germany overtook the UKfor the first time in 2016 since 2012, due to the cooling down of the London market inparticular. Thomas Barrack, CEO of US private equity company Colony Capital, andincidentally one of Trump’s key advisors, believes that Europe as a whole representsa big opportunity. Interestingly, his firm has also been targeting Germany, inparticular Berlin, as well as markets such as Ireland, our CapitalWatch editor RobinMarriott writes in his monthly. Despite the many political and economic uncertainties clouding Europe’s future, thereal estate industry is upbeat about most of its major markets. But Brexit is re-shaping the European real estate map. 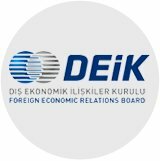 Enacted on 12th January 2017, Ankara will grant citizenship to foreigners who buy atleast USD 250.000 worth of real estate or have at least USD 500.000 deposited inTurkish banks, under the condition that this money won’t be withdrawn and the realestate sold for at least 3 years. After the July 15th attempted coup there has been aslowdown in foreign sales, and the government hopes that this new policy will act asan incentive and attract foreign buyers. The EB-5 investor visa is a green card option for a foreign entrepreneur who is willingto buy or start a business as direct Investment or to invest in a job-creating project inthe USA. Development of a system to ensure that new EB-5 capital investment projectsare pre-approved by United States Citizenship and Immigration Services(USCIS) to provide security to investors with more predictable USCISprocessing of visa applications. However, the EB-5 program has been renewed in its present state until September30, 2016 with no changes, as there were many controversies going on the proposedamendments and it became clear that certain points of the draft needed furthernegotiation, comment, and study. Turkey’s Ambassador to Azerbaijan has announced that the the Trans-AnatolianNatural Gas Pipeline (TANAP) Project is ahead of schedule, and its completion maylikely be earlier than the projected 2018 date. TANAP will bring natural gas primarilyto Turkey, but will also supply other European countries via the Trans-AdriaticPipeline (TAP). 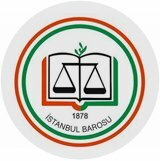 The International Court of Arbitrage ruled in favor of Turkey over a gap price disputebetween Turkey and Iran, leaving Iran to pay USD 1.9 billion in compensation. In2012, Turkey sued Iran for overpricing on gas purchases during the four-year periodbetween 2011 and 2015. The two countries have also agreed on a 13.3 percentdiscount on gas prices delivered from Iran to Turkey. Many Japanese companies have recently set their sights on investing in the Aegeanprovince of Izmir, a region seen as the opening gate to European, Middle Easternand North African markets. Investing companies include Japanese food giant NipponHam, spare automotive parts manufacturer Denso Corp and Yanmar Corp, andJapan’s Sun Chemical, which has started a factory in the Aliağa district in a USD 30million investment. Inci Holding, one of the Aegean’s largest conglomerates, andJapan’s GS Yuasa Corp signed a deal to collaborate in research and development toco-produce car batteries.